Have you ever had a hankering for a slice of the mouth-watering pizzas of New York, in the middle of an all-nighter trying to complete your assignment for your university in California? Or perhaps just wanted to dig your teeth into the melt in your mouth donut from Chicago when you are in New Jersey? These are the times when more than ever you just painfully envy the Harry Porter universe, or the Star Trek world where teleportation devices are found in place of phone booths. 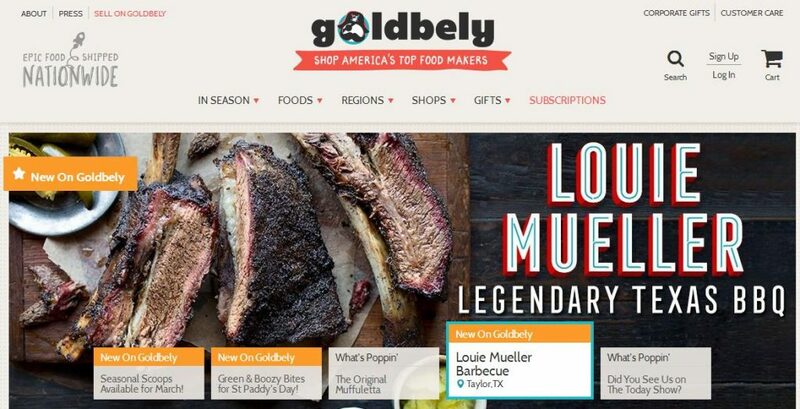 But those days of just wishing someone could deliver those goodies are over, it can actually happen now, with Goldbely. This great site actually promises to have your favourite treats delivers to your doorstep across the country.